Did you know Westmoreland County is one of the top gateways for human trafficking in Pennsylvania? 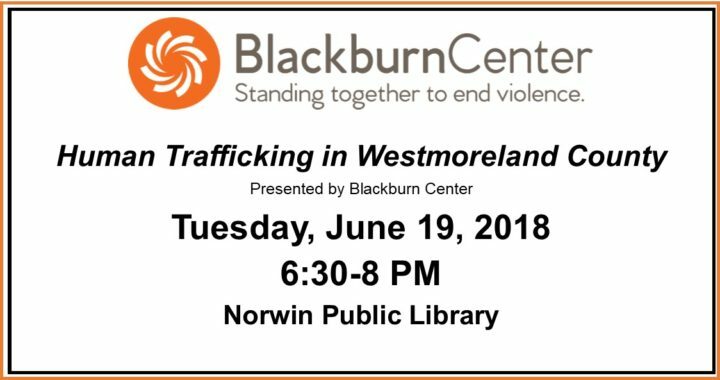 The Blackburn Center will be presenting “Human Trafficking in Westmoreland County” at the Norwin Public library. Trafficking is the recruitment, transportation, transfer, harboring, or receipt of persons by means of coercion, abduction, fraud, deception, or abuse of power of a position of vulnerability for the purpose of exploitation. An estimated 27 million people are enslaved around the world this very moment. An estimated 13 million children are enslaved around the world today, accounting for nearly half of trafficking victims in the world. The average age of a young woman being trafficked is 12-14 years old. The program is free, but registration is requested. 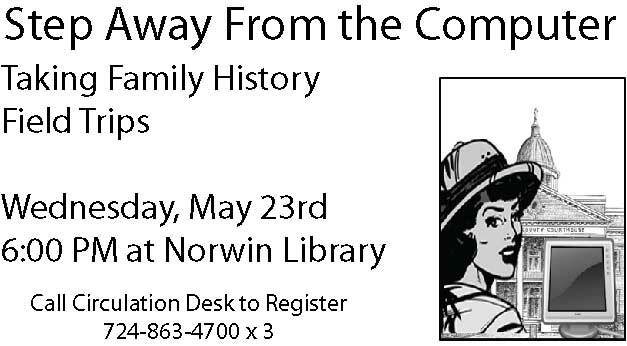 Please contact the library at 724-863-4700 x3 or stop by the front desk to sign up. When it comes to genealogy, it’s really NOT “all on line.” If you’re serious about breaking though those “brick walls” in your family tree research, you’ll need to step away from the computer and go on a few field trips. Family history field trips…to another town, a local cemetery, or another country…can give your priceless results. Learn how to prepare and how to make the best use of your time! Pittsburgh is a hardworking city. And hard workers sometimes enjoy the occasional spirit. So, when Prohibition hit the Steel City, it created a level of violence and corruption residents had never witnessed. 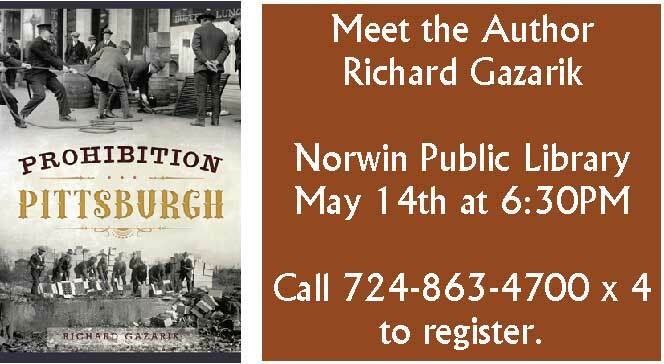 Join author Richard Gazarik as he details the shady side of the Steel City during a tumultuous era. Gazarik is a former reporter for the Tribune-Review and has written several books about historical events in the Pittsburgh area. Rock Painting for families and kids. Open to all, but registration required, limited number of places. 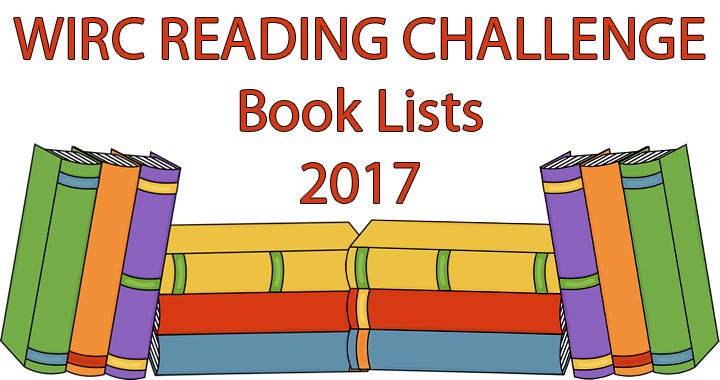 Call the Children’s library to sign up. Join us at the library for this special Event. 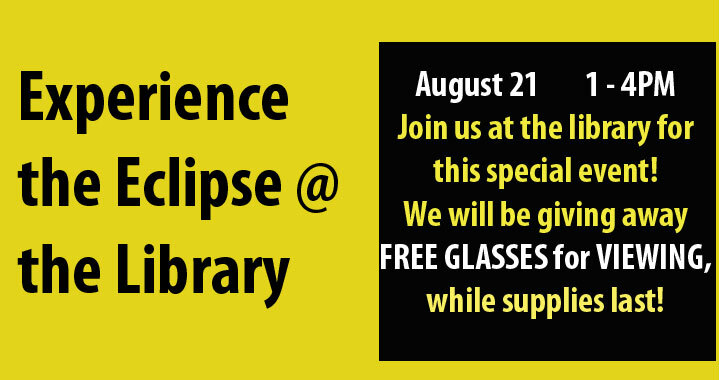 We will be giving away FREE GLASSES for VIEWING, while supplies last. If your eclipse glasses are scratched or damaged in any way, they are NOT safe to use. Dark Sunglasses are NOT adequate protection during an eclipse. Make sure your eclipse glasses have ISO 12312-2:2015 on them. The seventh most important thing / Shelley Pearsall. Snow White / Matt Phelan. A storm too soon / Michael J. Tougias. The wild robot / words and pictures by Peter Brown. Wolf Hollow : a novel / by Lauren Wolk. The Kingdom keepers : Disney after dark / Ridley Pearson. The lost hero / Rick Riordan. Making bombs for Hitler / by Marsha Forchuk Skrypuch. The angel experiment / James Patterson. The maze runner / James Dashner. 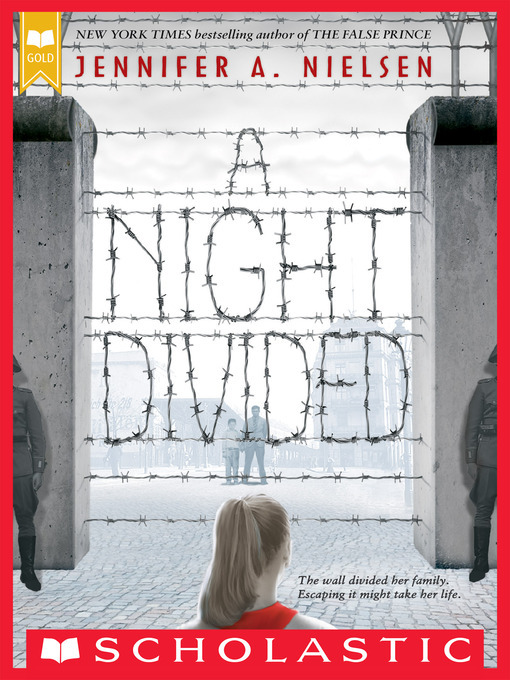 A night divided / Jennifer A. Nielsen. Alexander Hamilton : the making of America / Teri Kanefield. Chasing secrets / Gennifer Choldenko. The best man / Richard Peck. Ender’s Game / Orson Scott Card. Cloud and Wallfish / Anne Nesbet. A dog’s purpose / W. Bruce Cameron. The face on the milk carton / Caroline B. Cooney. Found / Margaret Peterson Haddix. The girl who drank the moon / Kelly Barnhill. 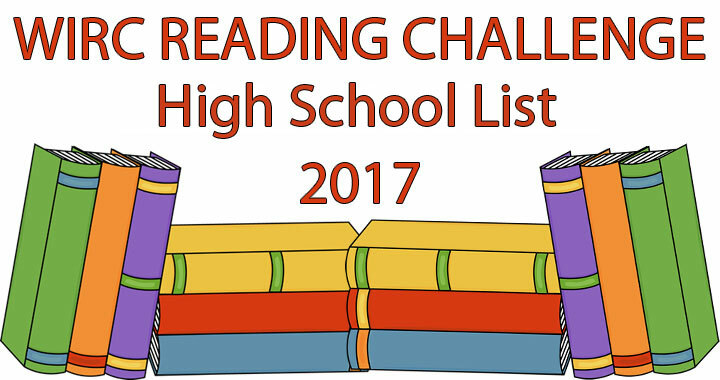 The WIRC reading list for high school students with links to our catalog and call numbers. 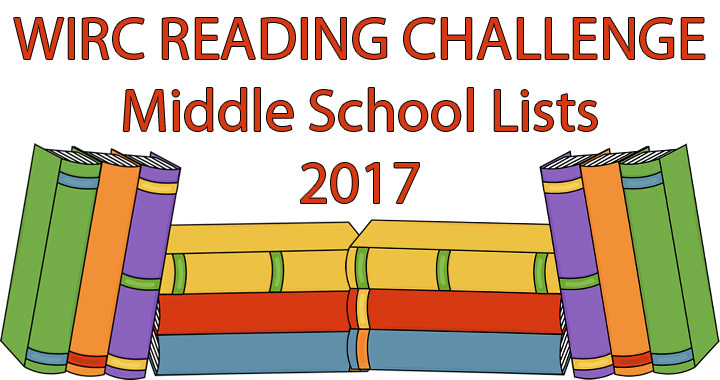 The WIRC reading list for middle school students with links to our catalog and call numbers.